Our fenced kitchen garden was designed with pollinators in mind. In the southeastern corner, there is a bee and butterfly garden planted with Liatra Spicata, purple Echinacea, red gladiolas and daffodils (primarily for me), and several other potted perennial flowers I picked up during the summer. The Kniphofia (Traffic Lights) didn't blossom this summer, but I think they did at least grow plants. 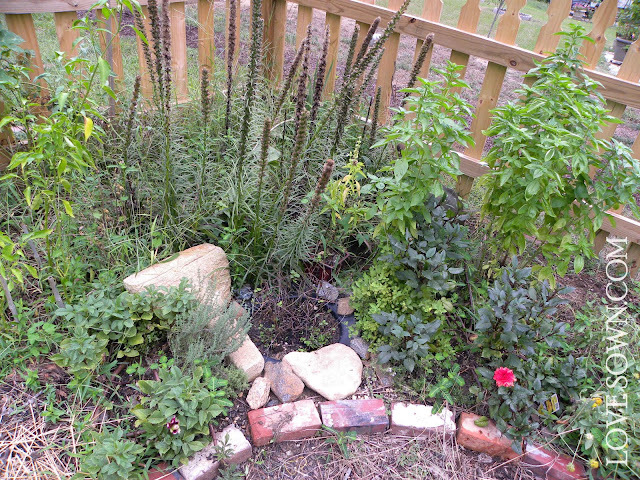 The real problem with the bee and butterfly garden is that its location in the corner makes weeding a real problem. I was not about to attempt weeding while the Liatra Spicata were in blossom. 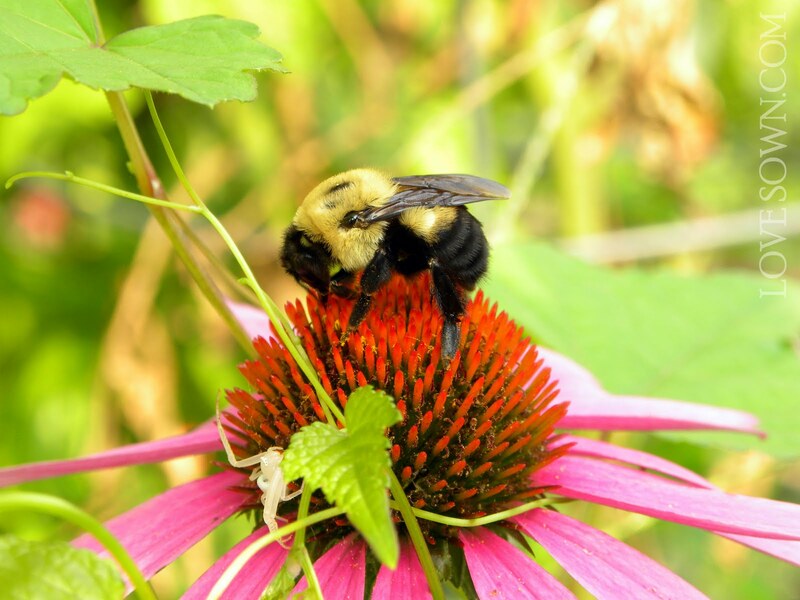 From sunup to sundown, the bees loved this flower. There was no way to gain access to the back corner without wading through some potentially angry workers. Early in the summer, we obtained a sink from Habitat and installed a small garden water bowl with Water Hyacinth; however, we replaced the water with potted mint due to a mosquito problem, which made that entire quadrant of the garden highly unpleasant. Yesterday evening, Scooby and I took shovels to the corner, removed the sink and excavated a circular area in the corner while carefully setting aside bulbs and plants. 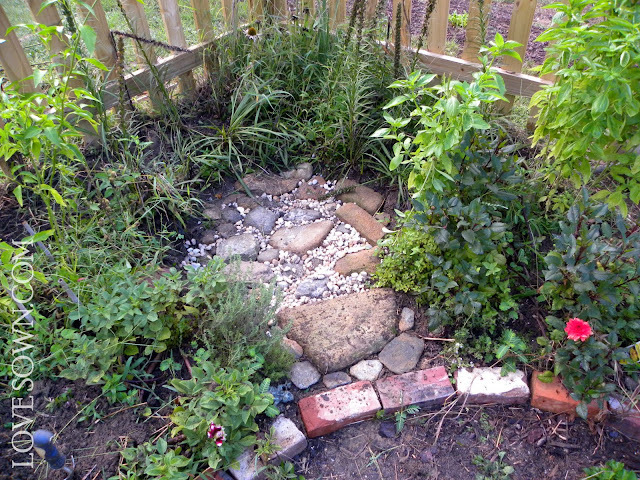 We then brought over rocks collected from other digging projects and laid them out in the circle and topped them with pea gravel. Because kids love naming things, this new butterfly garden access has been dubbed the Rock Quarry. 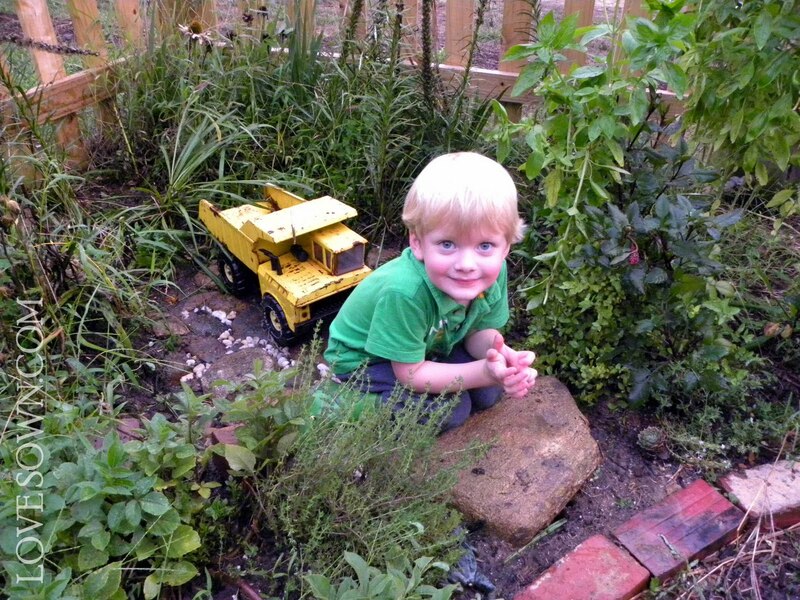 It's a perfect spot for a dump truck and little guy or for a gardener to squat a pull weeds. This morning I went back out to recess the header stone a little deeper and added a couple final stones. Right now the plants are dying back, but this coming spring the corner will be lush and manageable. Wonderful garden! A great spot for tractor and child!! In our county you can get free mosquito fish (which are hardy live-bearers about the size of guppies and related to guppies) from the vector control office of the county Health Dept. A few would do fine in a tiny pond and or fountain and they eat mosquito larvae and control the mosquito population.